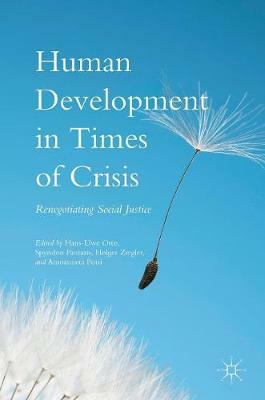 This book examines human development in times of crisis, and its effect on social justice and democracy, with a focus on the delay in developmental progress caused by the `Great Recession', the worst economic crisis in decades. The book places particular focus on policies of human development. It scrutinizes the philosophical foundations of human development while at the same time analyzing the underlying social, economic and institutional backgrounds which are conductive or limiting with respect of the task of politics of human development in times of crisis. Against this background, the project is concerned with the value added of applying the capabilities approach in order to assess the state and the policies of human development. This book connects demands for programmatic conceptions and social analyses in order to assess the opportunities for more capability-enhancing projects and public policies that aim to help counter the developmental setbacks from the economic crisis, and to enhance the quality of society and social justice.